How they qualified: Sweden surprised the continent, and the wider footballing world in mid-2015, by winning their first UEFA U-21 European Championship in the Czech Republic. 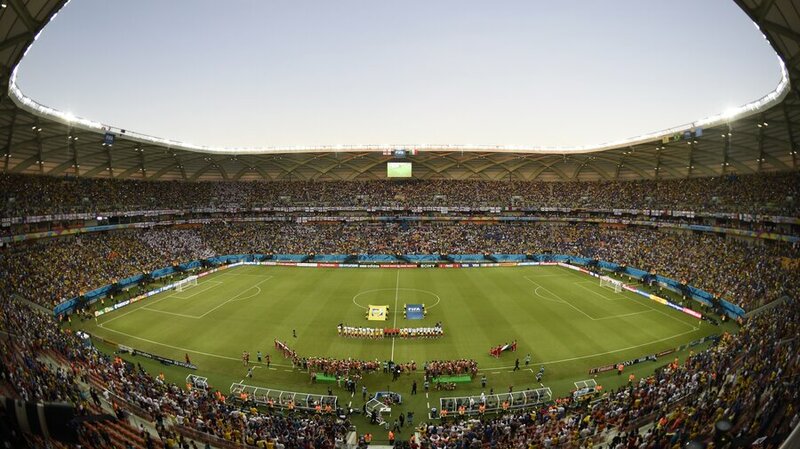 They were expected to struggle in a tough group, which included five-time winners Italy, two-time champions England and 1994 runners-up Portugal, but Hakan Ericson’s side navigated their way through with a win against the Azzurri, a defeat against the Three Lions and a draw against the Seleção. Their second place in the group saw them reach Rio 2016 and set up a mouth-watering semi-final with Nordic neighbours Denmark. They dominated against the Danes, winning 4-1 to set up a showdown with Portugal. A tense final against Rui Jorge’s side ended goalless, with stopper Patrick Carlgren crowned the Swedish hero after saving William Carvalho’s crucial spot kick. How they qualified: Colombia’s path to Rio 2016 can be divided into two parts. First up was the 2015 South American U-20 Championship in Uruguay, where they took second place. After edging through the first group phase with two wins and defeats apiece, they came into their own in the final stage, including drawing with the hosts and thrashing Brazil 3-0 to end up behind only Argentina. Although this runners-up finish was not good enough to qualify directly for Rio 2016, with only the winners going straight through, it did book them a ticket to the intercontinental play-off against USA. The Colombians prevailed over two legs, triumphing 2-1 in Texas after being held 1-1 in Barranquilla. Several members of the aforementioned U-20 side, such as Jarlan Barrera and Rafael Santos Borre, played their part in getting the job done, while Juan Fernando Quintero and Roger Martinez were particularly influential among the older heads involved. How they qualified: The 1996 winners entered qualification for the CAF U-23 Africa Cup of Nations at the final play-off stage, where they defeated Congo 2-1 over two legs, with Junior Ajayi grabbing both of the goals for ‘Dream Team VI’. In the tournament proper, they finished second in Group B on goal difference behind fellow Olympians Algeria, courtesy of an Ajayi-inspired victory against Mali and draws against Egypt and Les Verts. A single Etebo Oghenekaro strike saw off the finals hosts Senegal in the semi-final to book their tickets to Rio, and finished the tournament in style by defeating Algeria 2-1 in the final. How they qualified: Japan dominated their qualifying group for the AFC U-23 Championship, dispatching Macau, Vietnam and Malaysia with ease by scoring ten goals across the three matches without conceding. They continued that good form into the final tournament, winning all three pool games to top Group B and progress to the quarter-finals. They left it late in the knockout stages, needing extra time to get past Iran in the last eight before a dramatic stoppage time winner saw off Iraq in the semi-final and booked their ticket to Rio. The Samurai Blue went on to claim the continental title, coming from two goals down to win the final 3-2 against Korea Republic.